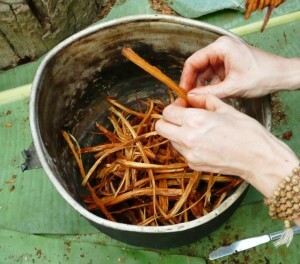 Many of you may have noticed and read the post from Eva on her Ayahuasca healing experience here. As people seem to be very interested in Ayahuasca healing powers and the experience others had with ‘the mother of all plants’ I thought I would share with you my vivid memories. These go back to February 2010 when I found myself in the Amazon rainforest in the hands of a powerful local shaman, Don Louis. But I am getting ahead of myself. I always considered myself a seeker. Seeking the deeper meaning of life and our individual existence on this planet. Somehow I always felt that there is more to know that what you see on TV and what you learn at school. So having read few spiritual books where the authors kept talking about something that penetrates all beings and that is the source of all existence and what some people may call God and some universal energy I decided to take some practical steps to get closer to finding this source. Coincidentally, Ayahuasca and its healing power came across my radar. Actually, there was no coincidence, as there is nothing happening by chance in our lives but I didn’t know it at that time. Some research quickly confirmed that it is one of the safest and most effective ways to access expanded states of human consciousness. So I found myself on a plane from London to Quito, Ecuador and couple of days later in the Amazon in the small village of Don Louis, the local traditional healer and shaman. Ayahuasca is a wine like plant native to the Amazon rainforest and the indigenous people have used it for centuries, if not longer, for healing. Not only healing of the body but most importantly, healing of the human soul. It contains psychoactive substances that effectively shut off your five senses perception of the world and open for you the inner understanding and vision that lies dormant in us most of our life. You drink the brew in the evening, it has effects for several hours, usually late into night and then you slowly return to your usual state of consciousness. My first session with Ayahusca healing abilities were extremely powerful. My ego did not want to let go and fought the revelations coming from my subconscious. Simply I didn’t want to accept certain stuff about myself. And I felt very sick. I didn’t vomit but felt like all night. It was probably the longest night in my life and in the morning I said I would never take Ayahuasca again. But as my mind replayed the experience the next day it became clearer and clearer that something transformative was going on within me. The second Ayahuasca healing ceremony was much calmer. 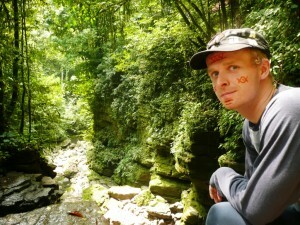 The half-day long meditations at the forest waterfall helped a lot. Slowly the feelings of peace and understanding of unity of all life filled my consciousness. But the moment that I will never forget was still awaiting me. The third Ayahuasca healing ceremony, strengthen by the power of long meditations and the fantastic energy of the rainforest, I was blessed to enter the state of oneness with all that is, literally the entire universe projected within me and me within the entire universe. Time and space lost any meaning and indescribable feeling of universal love and light engraved forever in my soul. I knew this is the source of all existence, the home where my soul came from and where it will one day return, the universal good that we all carry in our hearts. 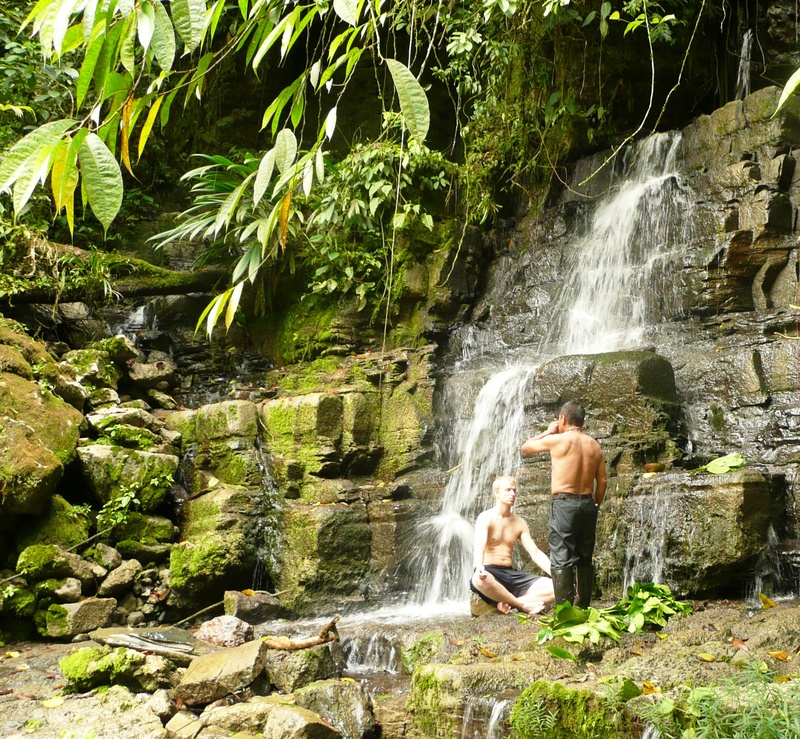 So, how was Ayahuasca healing experience for me? Truly revealing, life changing and transformative. Life has never been the same since. I had three nights with Ayahuasca and in each of them the revelations and healing went deeper and deeper. I connected myself with the Mother nature and my spiritual side. Ayahuasca helped me to get rid of many fears, traumas from the past and to find greater balance in life. I recommend trying Ayahuasca healing to everybody who feels to be on a journey of acquiring more knowledge about her/himself and the true nature of the universe we live in. Just please, choose your shaman wisely!